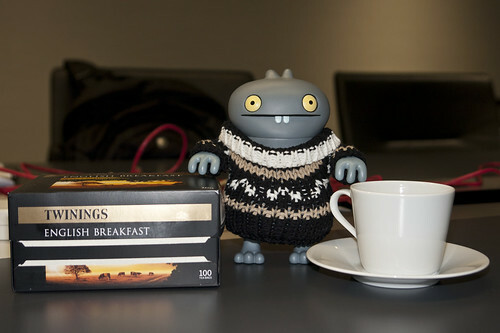 Uglyworld #1338 - Fancies A Cuppa (Project BIG - Image 321-365), a photo by www.bazpics.com on Flickr. As we is flyerings home to Germanies tonighter, it meanereds that I hads to goes into workies with Baz today, and afters a littler while I was starterings to gets boreders, so I askereds if there was anythings that I could does to be helpfullers. It didn't takes too long for me to gets the jobber of beings the new person in chargers of makings the teas for everyones, which I didn't minds too mucher as they leavereds me a massiver pile of cookies which I was supposeds to gives out withs the tea but I keepereds a couple for myselfer too! So, does you fancies a cuppa?